The Annals of Botany Company is delighted to announce the launch of in silico Plants (isP), the Company's new, international, open access journal published by Oxford University Press. isP deals with all aspects of computational plant science, providing a home for work from currently disparate research areas, publishing research at the interface between mathematics, computer science, and plant biology. 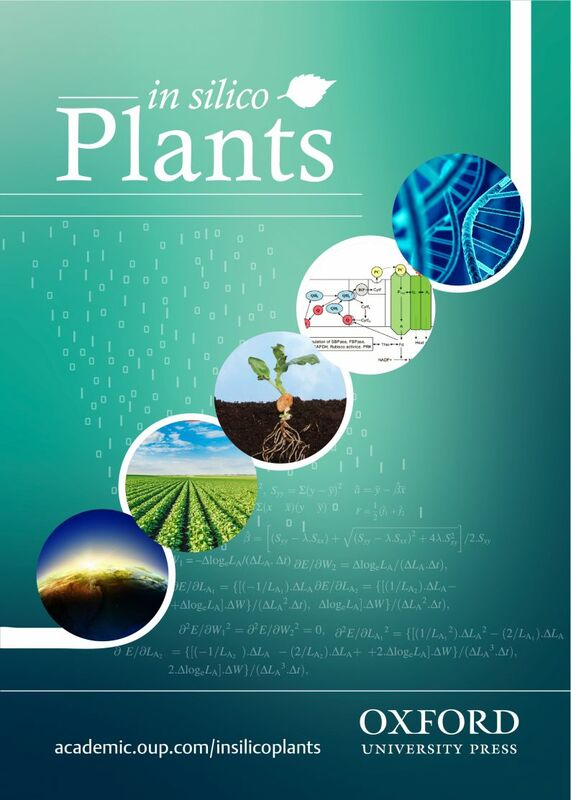 The journal provides a focal point for the rapidly growing community involved in the mathematical modelling and computational analysis of plants, and plant-related processes. The editors now welcome submissions of papers that fall within this area. The Annals of Botany Company is an educational charity that has been supporting plant science for well over 100 years. We publish Annals of Botany (started in 1887) and the open-access journal AoB PLANTS (started in 2009). These international journals cover all aspects of plant biology, publishing peer reviewed research articles, reviews and comment on the widest range of botanical subjects. We also publish in silico Plants, started in 2018 and containing only computational plant science, and the highly popular web log BotanyOne that carries lively views and analysis of current research findings from all of plant biology and ecology. For those who like a regular update on plant science news from the blogs and social media there is our email newsletter The Week in Botany (specimen issue here) to which anyone can subscribe. Each of our publications benefits from a substantial re-investment of income. Amongst other things, this finances several special issues each year, subsidises author charges for open access publishing and keeps subscription charges as low as possible. This site will help you identify key features of the organisation, identify and contact those involved in management and administration, give you access to our publications (links above) and explain how to apply for financial support for a conference, conference session or workshop.